Quality Assured . . . The LED Lighting Facts® is a program of the U.S. Department of Energy that showcases LED products for general illumination from manufacturers who commit to testing products and reporting performance results according to industry standards. 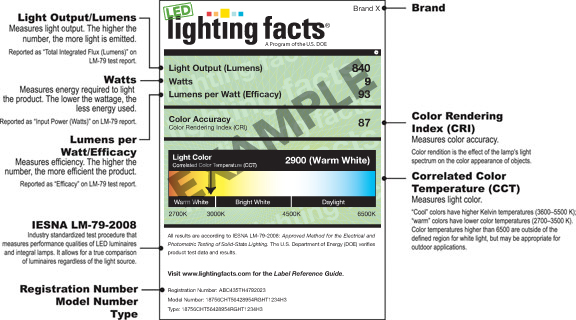 For lighting buyers, designers, and energy efficiency programs, the LED Lighting Facts Label provides information essential to evaluating products and identifying the best options. Manufacturers go through the same testing and reporting process to ensure consistent and accurate reporting of the following five metrics: lumens, watts, efficacy, color rendering index and correlated color temperature. 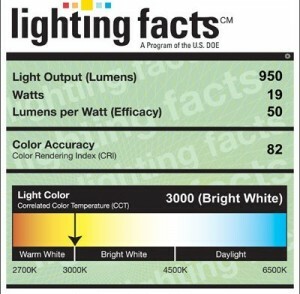 Since the LED Lighting Facts label is registered to the U.S. Department of Energy, only products that are registered and listed on the Lighting Facts Products List may use the Lighting Facts label. 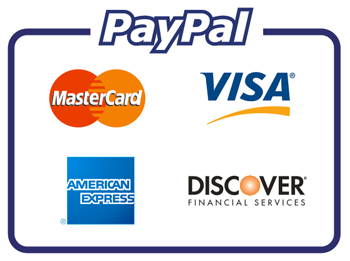 The protects the consumer, and ensures a quality product with each and every purchase. What’s in a Label? . . .